Pulaski Heights United Methodist Church’s wonderful senior respite care program has openings for several more clients! Our caregivers understand the burden of care for people with dementia, loneliness and those in need of socialization and stimulation. Our program provides morning and afternoon snacks, as well as a nutritious meal at lunch time. Clients have constant supervision under trained, devoted volunteers and at least one registered nurse. Individualized care plans and lunch diets are among the many special client services. The day’s activities will include low-impact exercises, therapy, arts & crafts, current events, singing, a devotional period and wonderful Christian fellowship. The center is under the direction of a registered nurse and staffed by volunteers highly trained in assistance and loving personal care. Interdisciplinary and allied health representatives of the University of Arkansas for Medical Sciences, University of Arkansas at Little Rock and Center on Aging are included in the planning and conducting of the program.  Senior adults, who now are receiving assisted living home care, are eligible. Our clients must be continent or wear protective underwear, non-violent, self-medicating and comfortably able to use a wheelchair or walking device, if needed. Cost is $20 per day. To apply or volunteer, please call the church at 501-664-3600.